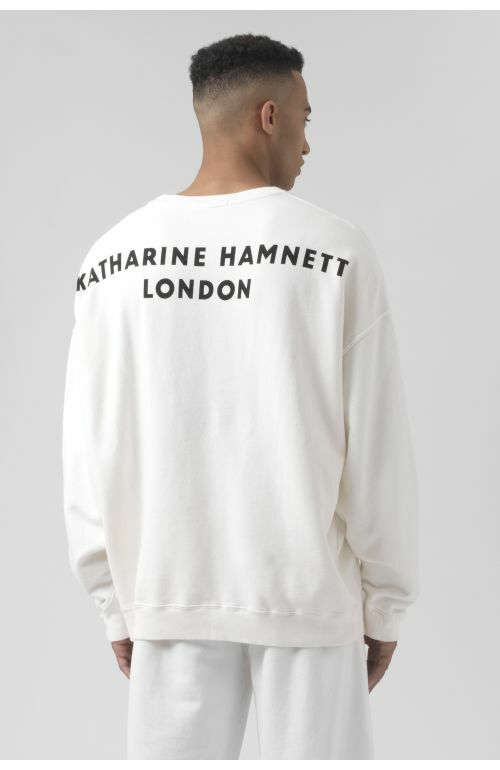 Katharine Hamnett London Joey Navy Organic Cotton Sweatshirt featuring kangaroo pocket and classic logo on back neck. 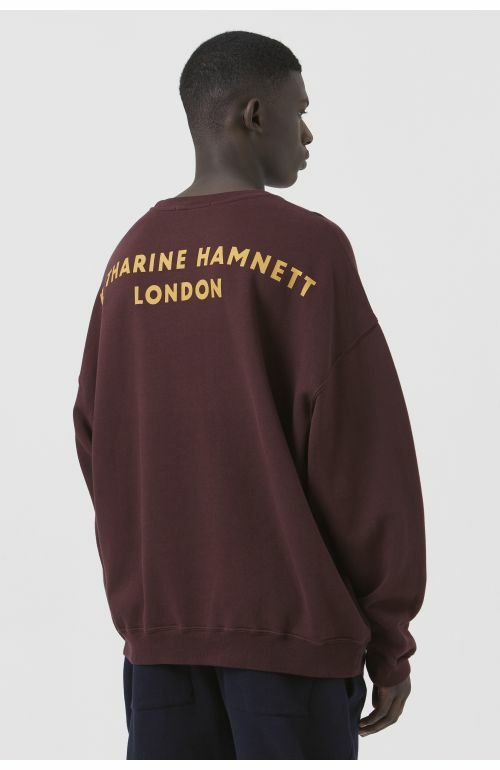 In 100% organic cotton brushed back sweat. Made in Italy. 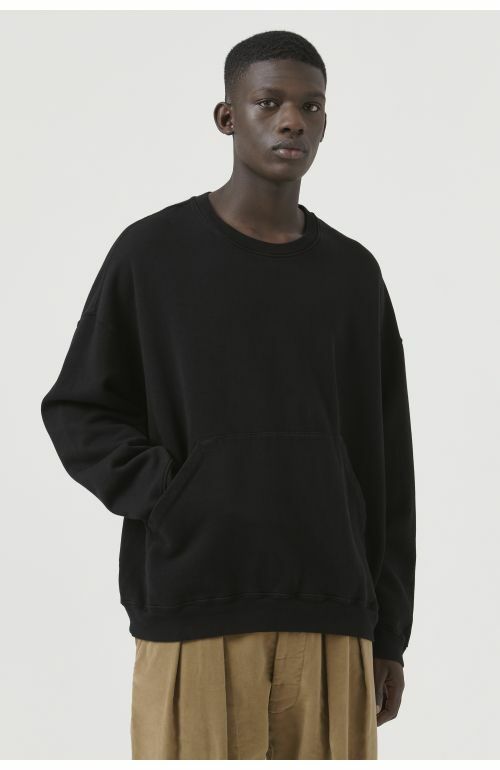 The model is 6'2.5"/ 187 CM and is wearing size M. 100% organic cotton brushed back sweat.